What sounds like the beginning of a pretty lame joke is actually a well-known business and scrum ‘fable’ and used to be part of the official scrum guide until 2011. 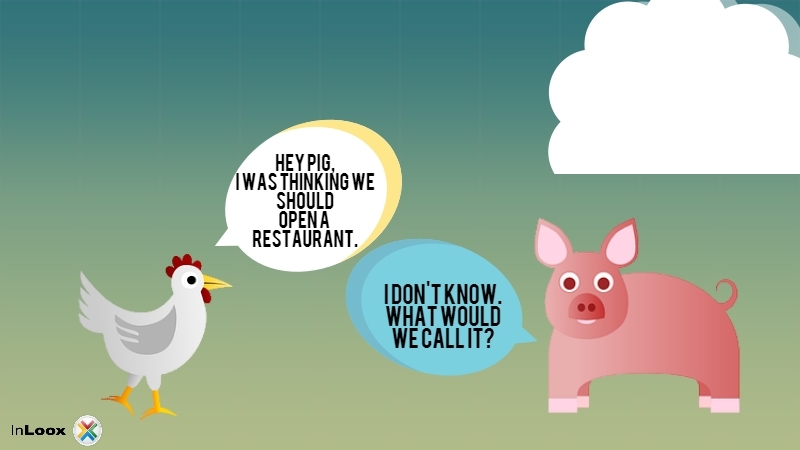 Pig has to sacrifice himself if they want to sell ham in their restaurant. The Chicken, on the other hand, just has to provide the eggs, which does not require her to give up her life. 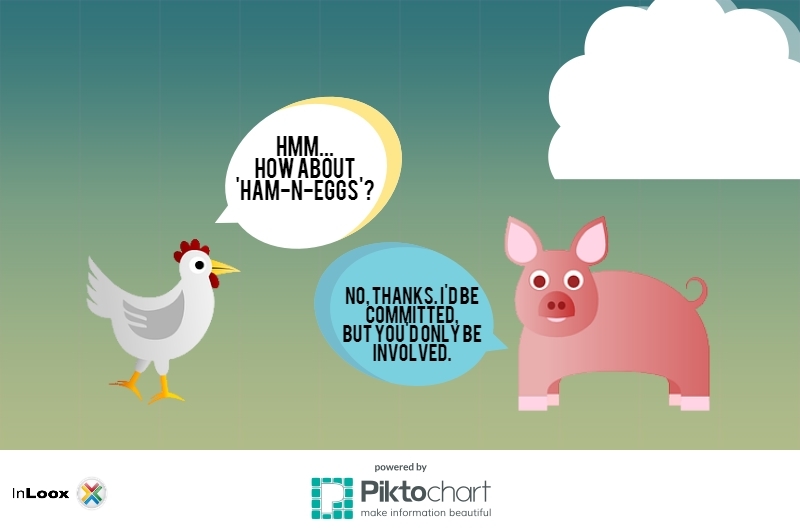 Thus, the pig is much more committed to the project, while the chicken is only involved. In scrum, ‘pigs’ are those who are fully committed to the project and take full responsibility for it (the product owner, the scrum master and the team). ‘Chickens’ are those who might make proposals or suggestions (customers and executive management), but who are not actively working on the project and thus, are only involved in it, but not committed to it. Even though these labels are not used anymore in scrum, this fable is a good allegory for the difference between commitment and mere involvement. 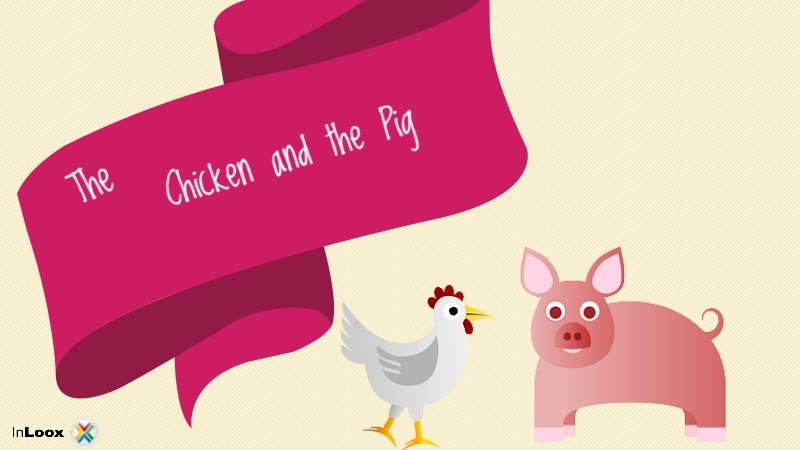 Project Management, a Chicken and a Pig… - InLoox • Copyright 1999-2019 © InLoox, Inc. All rights reserved.